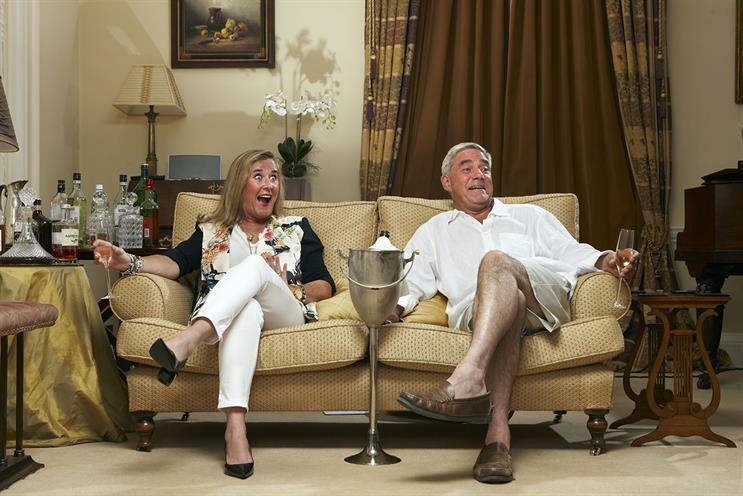 Last Friday’s Gogglebox was the Channel 4 series’ highest-rating overnight performance to date. The show watching people watching TV outperformed all other channels at 9pm and averaged four million viewers – an 18.3 per cent share. Gogglebox also drew the highest share of 16- to 34-year-old viewers and ABC1s (C4’s key demographics) to 9pm. Just the response to those media industry Cassandras who say C4 is too reliant on Come Dine With Me repeats. Giving to charity has never been easier. Clear Channel and MediaCom partnered with Cancer Research UK this month to introduce contactless giving. In a global first, the British public can donate £2 to the charity simply by tapping their contactless debit or credit cards on to window displays at Cancer Research UK branches in Kensington, Marylebone, Brighton and Guildford. As an added bonus, supporters can see the impact that their donations have on the charity’s research via digital screens that react to each new contribution. Grazia is celebrating its tenth anniversary with a series of innovations including a collectors’ issue and a three-week exhibition. Grazia was arguably the last of the big magazine launches in the UK when it was born in 2005. The perfect-bound birthday edition shows the trends and outfits that have shaped the past decade. Grazia will also host a series of talks from speakers including David Nicholls and the Hemsley sisters at the Getty Images Gallery. The Telegraph’s reaction to accusations made by Peter Oborne has only fanned the flames of discontent at the title and among the public at large. Refusing to take lectures about journalism from the likes of The Guardian or The Times is one thing, but an anonymous front-page story linking two suicides at News UK to "fears staff are being put under unreasonable pressure to hit targets" was a quick way to alienate anyone backing the paper. The Samaritans pointedly issued a "reminder to journalists" of the charity’s media guidelines for the reporting of suicide.